The release of Shelter hit the internet like a massive wave just yesterday. The music video had garnered incredible amounts of anticipation despite only being announced less than a week beforehand. 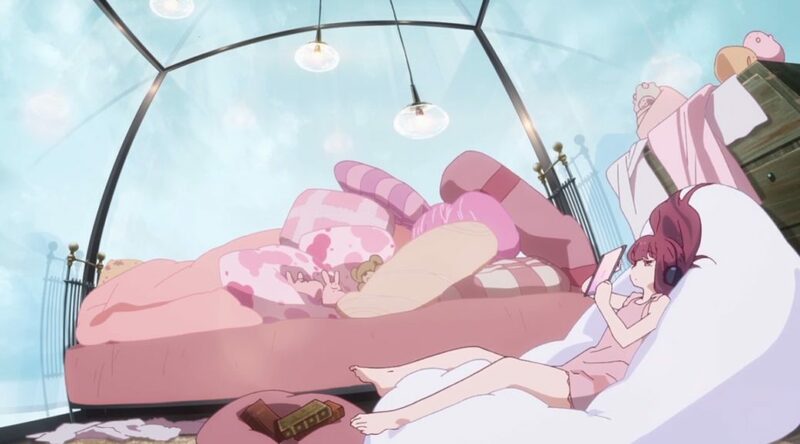 Renowned music producer Porter Robinson was behind the original concept, and he reached out to A-1 Pictures to have said idea turned into a short anime. Toshifumi Akai — whose name should be familiar to readers of this site — had the honour of being assigned as director for the project, and saying he did a good job would be a gross understatement. I’m not here to delve into what makes this MV outstanding, though — well, not for now at least. Instead, I’m here to provide a translation of an interview with Akai that went up a few hours before the MV’s release, which features some nice little details about the production and the approaches within it. Enough from me, though. Let’s get into this badboy! — What were your initial thoughts on the ideas Porter Robinson brought to you? Did he have any specific requests in regards to the production of the MV? 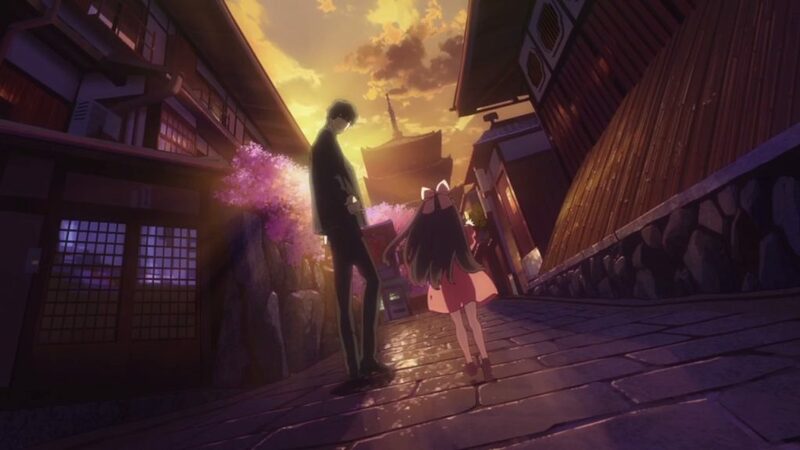 Akai: I couldn’t help but notice that we were dealing with a pretty sad story at first, but one thing I really wanted to portray in spite of that was Rin’s strength of character. The melody of the work-in-progress I was provided with matched up with the story really well, too, so I had an easy time visualising what I wanted to do with it. The next step was deciding how to go about things based on the length of the song itself. Both myself and Megumi Kouno – the character designer – got together with a number of other people to talk things out, which led to the creation of some image boards and the like. We smoothed things out a lot once Porter himself came over to Japan to discuss things with us directly. — How did it feel having the opportunity to create an MV for an artist who’s renowned all across the world? Did you see it as a chance to do something special? Akai: The thing with MVs is that they’re generally hectic or just plain odd. I wanted to deviate from that and create something that’s accessible to everyone. Not only that, I wanted it to be something you could keep coming back to over and over again. — Naturally you weren’t the only one involved in this project; Megumi Kouno, Yuusuke Takeda – the art director – and Sachika Misawa were as much a part of it as you were. What led to them being brought in? Was there any particular style of direction you were aiming for? Akai: It’s funny you ask that, because Porter himself practically demanded that Kouno be involved in it, otherwise he didn’t want to go through with it at all. Her drawings are beyond gorgeous, too, so I was set on giving her a platform to show that off. She was simply perfect for the job. As for Takeda, I gave him very precise instructions along the way, though I tried not to overcomplicate things for him either. Safe to say that the work he delivered was fantastic; another person perfect for the job. We held auditions for the role of Rin, which Misawa passed with flying colours. There’s no doubt that it was difficult to provide voice to a character with so little information to run on, but she went all out regardless. And hey, she did real well, too! Perfect for the job once again. — How did the song itself affect the animation process? Which points would you say you struggled the most during? And finally, how long did it take to actually produce the MV in its entirety? Akai: The hardest part was probably coming up with designs and the like from scratch. That process was a lot of fun in and of itself though, so I wouldn’t say we struggled in any fashion (or at least, I didn’t!). We understood the fundamental differences between MVs and what we typically work on too, so there was a lot of effort put into making sure it was both accessible and easy to rewatch whenever people felt like it. That meant going over and double checking every aspect of it as much as we could. — This collaboration with Porter Robinson is just one example of how Japan’s anime industry has been making leaps and bounds on a global scale over the past few years, providing new opportunities to everyone involved. Can I ask for your thoughts on this trend? Akai: I’m incredibly grateful to both Porter himself and A-1 Pictures for giving me this opportunity. I’ve never really thought of anime as something that belonged to Japan alone, so I’ll just say that the country they’re made in doesn’t matter; what does matter is ensuring you put out the best you can. I do see people talk about how Japan puts out too much anime these days, but I can’t see that as something negative; more anime means more opportunities afforded to youngsters, both within and outwith TV series. That’s something people can take as motivation to create and inspire others with. Most importantly though, I want and hope that everyone takes the chance to watch Shelter when it comes out! So does anyone know how Porter learn of Kouno? Why does he insist on having her do the animation? Looking forward to the confirmation that he’s a big imas nerd. I deny all claims that myself and Porter are the same person. So, did Kouno do all of the key animation for this? I didn’t see anyone else in the credits, so I assumed so, but I’m not sure how feasible it would be for her to actually do that in that period of time. Yup, she was character designer/animation director/solo key animator. We know she can be incredibly fast without sacrificing quality too (the last thing she did before this was an almost 2 minute long solo segment on an awfully tight schedule), so it’s not surprising if she finished up in a couple of months at most.